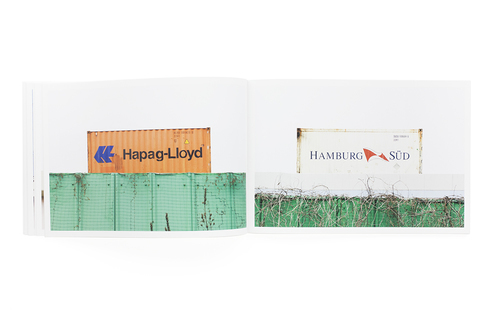 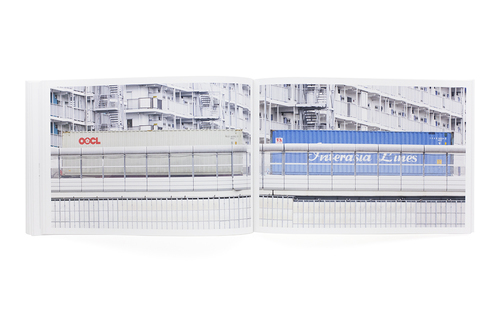 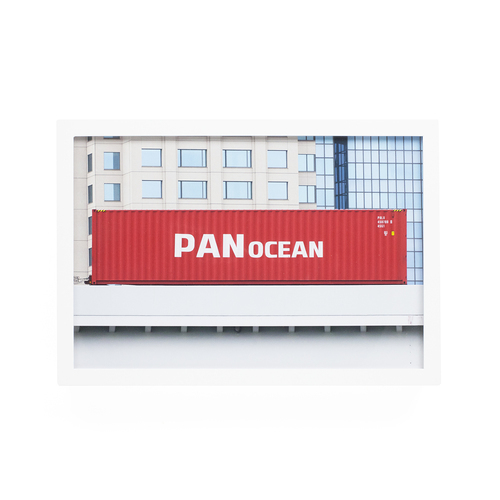 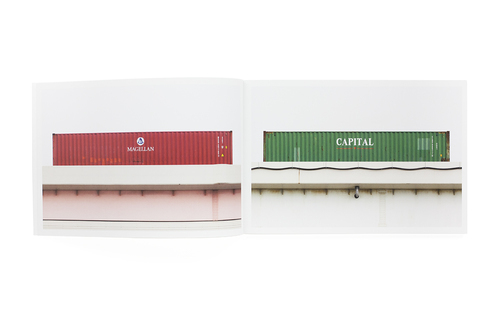 The special edition of Yusuke Inoue’s “Containers in Tokyo” was created and hand-made by the artist himself. 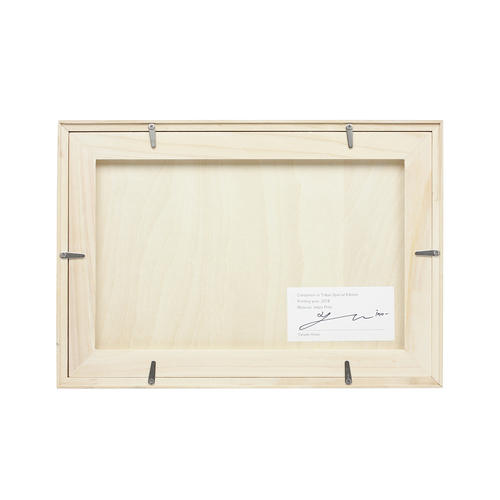 It consists of a painted wooden frame and a print from the series. 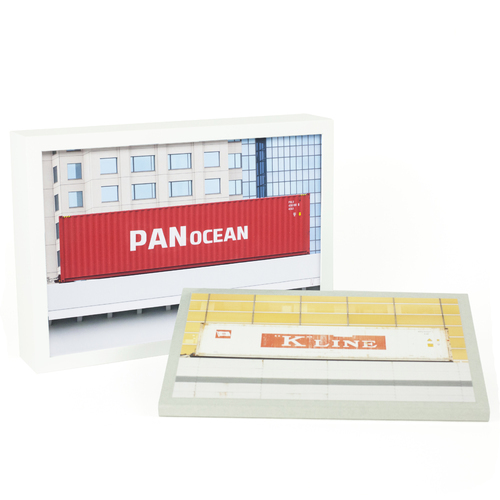 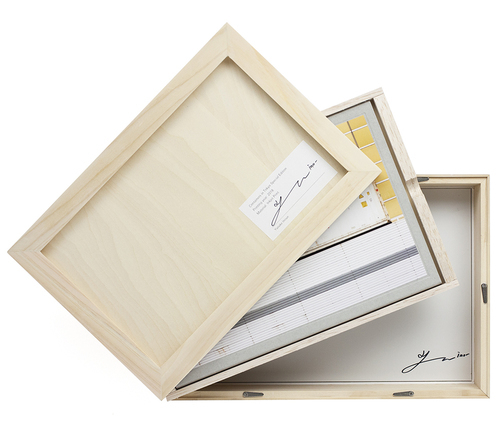 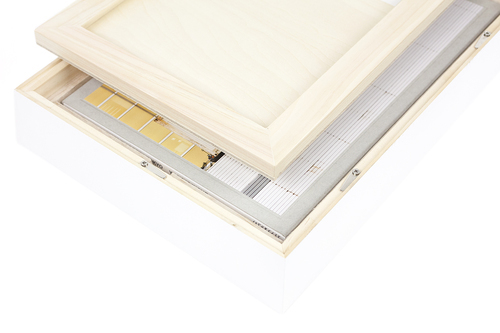 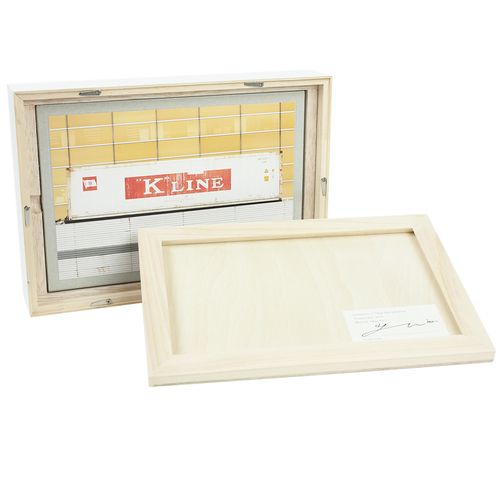 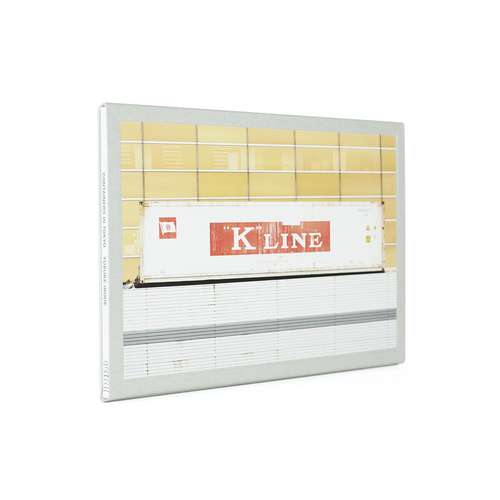 The photobook itself, also part of the special edition set, hides in a compartment at the back of the frame. 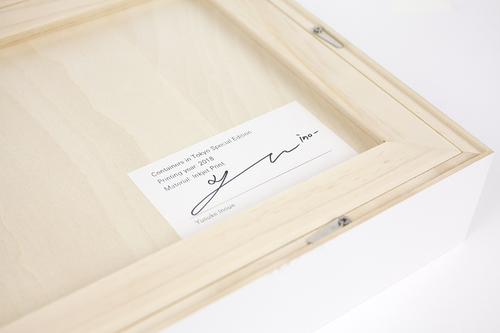 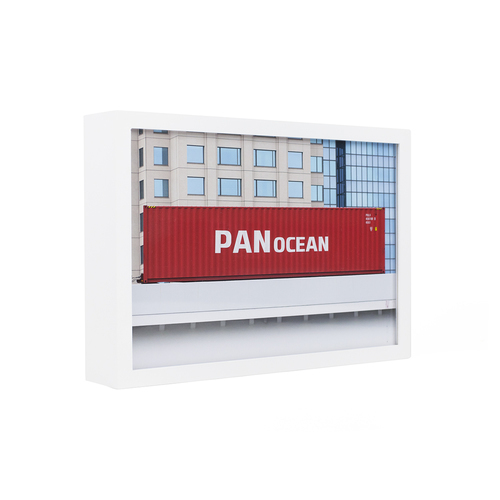 The frame can either be hung onto a wall or, thanks to the depth of the frame, also stand by itself.